Who says swimmers doesn’t need shoes? Not US swimmer and Olympian Michael Phelps! 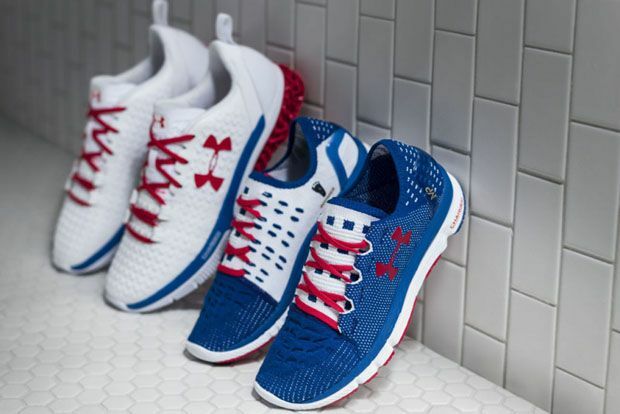 The former competitive swimmer and the most decorated Olympian of all time with 28 medals, went to the recently-concluded Rio Olympics with enough motivation – two new footwear innovation from Under Armour called the UA Architech and UA Speedform Slingshot! Under Armour, the global leader in innovative performance footwear, apparel and equipment has taken footwear innovation to the next level. In March, the Brand introduced its first-ever 3D printed performance trainer, the UA Architech. The UA Architech is a 360-degree performance training shoe that features a functional 3D printed midsole and 3D ClutchFit auxetic upper design that creates a “super-hybrid” trainer. This performance trainer provides athletes with the ultimate stability and cushioning to take on the most intense workouts. In addition to the state-of-the-art technology and custom color design, Michael’s footwear featured a personal touch to provide an additional source of motivation as he headed into competition. His 3-month old son, Boomer’s footprint is printed on the insole of the shoe as a personal reminder that Boomer is with him every step and stroke of the way. 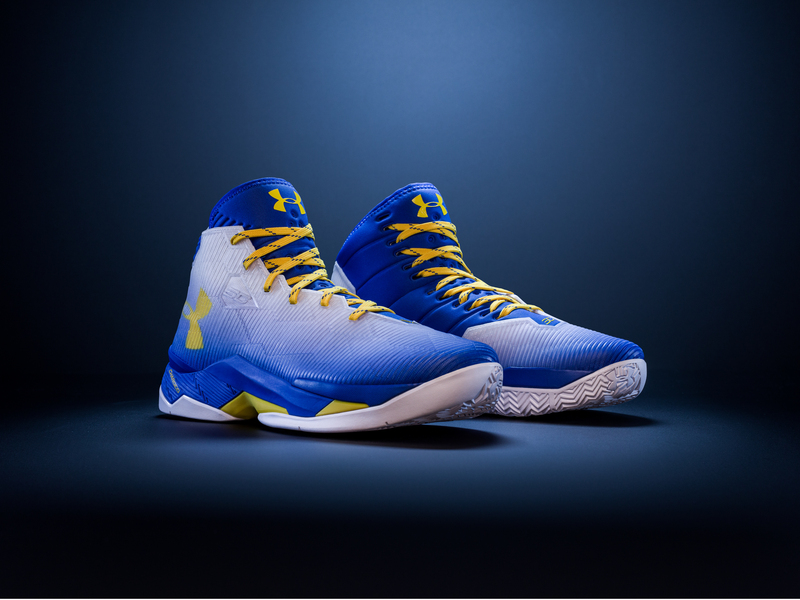 A new color of the UA Architech is now available as a limited edition offering to consumers on UA.com. The shoe, which retails for $299.99, was the first 3D printed performance trainer available to consumers. The first color was available in March and sold out in under 20 minutes. Motorola, through its distribution arm – Digits Trading, has just recently launched a new range of wireless audio and video products here in the Philippines. The released collection consists of the wireless headphones – Loop, VerveOne, VerveOne+, VerveRider and VerveRider+. The products are meant to enhance and give wireless freedom to people who are on the go and leads an active lifestyle. All products in the collection can be connected to mobile phones through an app called Hubble Connect for VerveLife. The app is available for both iOS and Android devices and allows the settings of the headphones to be changed. One of the more interesting things for me though was the ability of the app to locate it on a map. Pretty convenient, especially if you happen to oftentimes forget where you last kept your stuff! Not to forget, the products doesn’t only play music! Since it is connected to a mobile device, it can also take calls. Truly another plus feature! We left the launch bringing home with us a product from the collection, the VerveRider and I honestly am excited to be able to try it out! The VerveOnes+ is a new generation of completely True Wireless Bluetooth® earbuds that deliver incredible HD sound. Featuring IP57 waterproof protection(1), the headphones can withstand sweat, rain, and even accidental dips in a puddle, so you can take them anywhere. It’s not rocket science; music fuels your workouts. It’s no wonder many fitness buffs and athletes put their headphones on and tune the world out during physical activity. No matter what the training program entails, music can help in getting into “the zone” and put you in peak performance. However, many people can attest to the hassle of being in the middle of working out and having to lug around different adaptors and wires all for the sake of having music. As such, flexibility and freedom with connection is something aspired by many, not just technology enthusiasts. This is what Motorola VerveLife strives to provide. With it, anyone can achieve this balance and own their every movement with maximum connected convenience. Motorola VerveLife is a revolutionary collection of wireless video and audio products that allows consumers full freedom to enjoy life and stay connected, even in the wettest, toughest frontiers around the world. It also works well even for urban adventurers, looking for the next gym opening or a big park to run in. The product line gives users the best kind of mobility they can get while exerting the right kind of effort—not too much, and not too little. The collection consists of a wide range of products, including: HD wireless headphones, including the first True WirelessTM earbuds from a major manufacturer – the Motorola VerveOnes/VerveOnes+ – and a QHD live-streaming lifestyle camera, Motorola VerveCam+. Much like apps that locate where your phone is, Motorola VerveLife is accompanied with Hubble Connect, which optimizes the perfect sound, reviews and streams video, and finds the last connected location in case the product is lost. This is the power of VerveLife: It’s all about your move. “Unlimited Will” celebrates an extraordinary athlete, Kyle Maynard, and his determination to surmount any challenge in his path. From the 2nd installment of the Unlimited Campaign comes the third and final one which narrates Kyle Maynard’s strong will to go beyond his limits. I do not do tri. I ever experienced doing any form or triathlon – be it short, half or full distance, but I work in tri events and have been in numerous occassions been witness to some inspiring stories and accomplishments of various athletes of diverse capabilities and skills. That is why, when I saw this viral video of Sister Madonna Buder, I was really so awestruck. Nakakabilib! This and the many other inspiring stories that we have been witnessing in every Ironman 70.3 and 5150 Triathlon events that we work on, really are the perfect examples of sheer will and determination. Here is Sister Madonna’s insipiring story, which is now part and a second installment to Nike’s Unlimited Campaign. “The only failure is not to try, because your effort in itself is a success”, Sister Madonna Buder. Manila, August 2016 – U.S. high performance sports apparel label Under Armour celebrates U.S. National Basketball Association (NBA) superstar Stephen Curry’s outstanding season performance and second consecutive Kia NBA MVP Award with the Curry MVP Back 2 Back Pack, containing a re-release of the Curry One MVP and a new Curry Two MVP colourway. Curry’s impression on the sport of basketball is a lesson in the power of perseverance, through sheer will and hard work. In the 2014-2015 season, Curry impressed all by being the first player ever to hit 300 three-pointers in a season. He claimed the 2014-15 Kia NBA MVP Award for his performance and earned his first Larry O’Brien World Championship trophy. Following that, in the 2015-2016 season, he helped to lead the Golden State Warriors to the single-season record for wins, shattered his own three-point record of 400 three-pointers in a season, led the league in scoring and joined the prestigious 50-40-90 shooting club. Commemorating the signature footwear Curry wore in the back-to-back MVP seasons, the Under Armour Curry MVP Back 2 Back Pack has sleek gold colours and design elements, reinforced by Under Armour’s innovative technology. It echoes the relentless strength and tenacity demonstrated by Curry, whose ability to hit shots off the dribble, in traffic and from incredible distance took the world by storm. The Under Armour Curry MVP Back 2 Back Pack will be available exclusively on www.underarmour.com.ph and Titan retail stores. Under Armour finds a new home at Ayala Malls’ shopping center in Quezon City. MANILA, PHILIPPINES – Regarded as the most innovative sports and fitness clothing line in the world today, Under Armour extended its reach in the Philippines when it launched ta new brand house in Metro Manila. 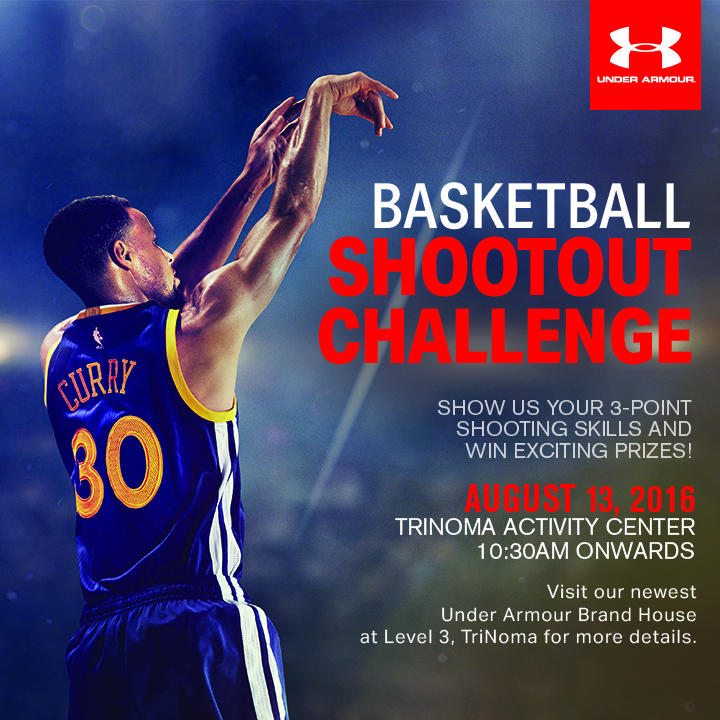 Under Armour formally opened a branch at Level 3 of the TriNoma Mall in Quezon City today- Friday, August 12. Taulava, a Filipino-Tongan cager who has been strutting his wares on the PBA court for 16 years in five different teams, copped the league’s Most Valuable Player trophy in 2003 and led the Talk ‘N Text Tropang Texters to the All-Filipino Conference title in the same year. Make sure to follow Under Armour Philippines via @underarmourph on Instagram and Twitter as well as Facebook at http://www.facebook.com/underarmoursea.